Frequent visitors to the Special Collections website will notice the new and improved design. It is now constructed to be fully compatible with tablets, mobile phones and other devices. 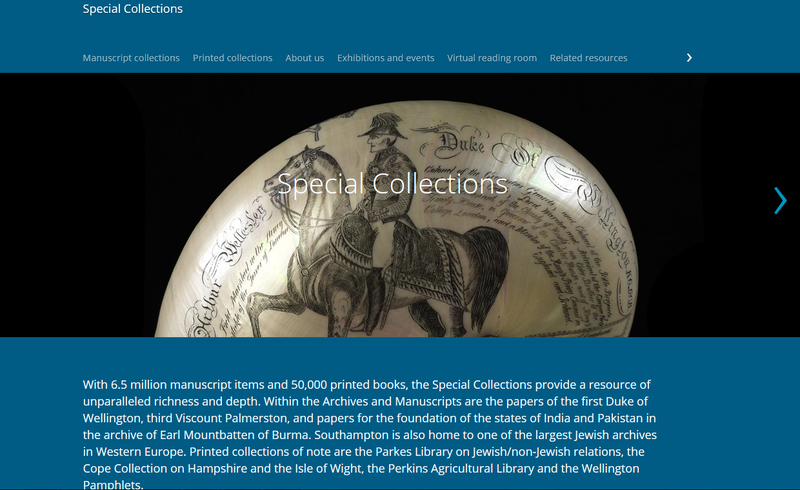 All the familiar features are still present including the searchable archive databases for the Guide to the Collections and the Mountbatten, Wellington and Palmerston Papers plus the Virtual Reading Room which provides access to digital images of material from the Palmerston Papers and the Anglo-Jewish Archives. We have plans to expand our catalogues and finding aids with A-Z guides of subjects and names of individuals to help you navigate the collections. This will build on the ten thematic guides on our website giving an introduction to sources for Jewish Genealogy, Refugees in the 20th Century, Holocaust, Sources on the 18th century, University of Southampton, First World War, Military and Political Collections, Sources about Ireland, Genealogical Sources in the Broadlands Archives and Ghettos. There also will be a considerable expansion of the catalogues accessible online, helping you mine the riches of the collections. Future social media plans include a Facebook page – watch this space! Today, 20 November, is Universal Children’s Day in the UK and many other countries around the world. Over 60 years ago, the United Nations encouraged all countries to promote mutual exchange and understanding among children and to initiate action to benefit and promote the welfare of the world’s children. Universal Children’s Day is not simply a day to celebrate children for who they are, but of bring awareness to children around the globe that have suffered abuse, exploitation and discrimination. We take the opportunity to share with you some of our holdings which relate specifically to the welfare of children. Recent acquisitions are archives concerning a relatively little-known influx of child refugees just prior to World War II. 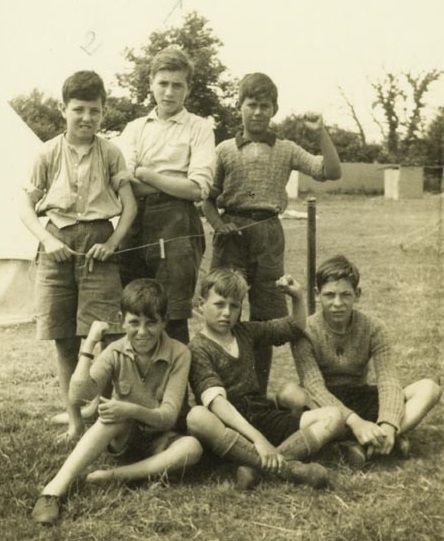 In 1937, during the Spanish Civil War, a group of almost 4,000 children, the niños vascos, plus some teachers and priests, were evacuated to the UK from Santurce/Santurzi, the port of Bilbão/Bilbo in the Basque region of Spain. They were part of a movement which saw some 20,000 children leave the war zone, dispersed to countries across Europe and overseas. War, hunger, revolution, counter-revolution, denunciations, persecution, summary trials and executions, and mass repression resulted in the disintegration of family and community life and forced thousands of people into exile. Homes or “colonies” were set up all over the UK, mainly in England and Wales, staffed and financed by individual volunteers, church groups, trade unions, and other interested groups. Those Guernica evacuees who remained in the UK became known as the “Basque children” and tried to keep in touch with each other. An organisation, the Basque Children of ‘37 Association UK, was founded in November 2002 with the desire that these children should not become los olvidados (the “forgotten ones”). The Heritage Lottery Fund awarded the University of Southampton, in partnership with Hampshire Archives and Local Studies, a grant for a project under its Your Heritage scheme. Led by Dr Alicia Pozo-Gutierrez and Professor Chris Woolgar, the project recorded life story interviews to document an important facet of the Spanish Civil War and its consequences. The project looked at the experiences of the children who came to Southampton and the UK, their lives here, the question of return to the Iberian peninsula, and the complex questions that arise from transnational migration in time of conflict. The interviews were carried out by volunteers. With a special Explore the Wellington Archive event and the 27th Wellington Lecture taking place at the end of the month, we take the opportunity to look at the ongoing work being done to conserve the Wellington Papers. The Wellington Papers came to Southampton with a major challenge of conservation: some ten percent of the collection was so badly damaged it was unfit to handle and 10,000 documents were in a parlous condition. The University has made good progress: about seventy percent has been conserved and is now available for research, including papers for 1822 (for the Congress of Verona), for Wellington as Prime Minister in 1829 (the year of Catholic emancipation), and for some of the Peninsular War. 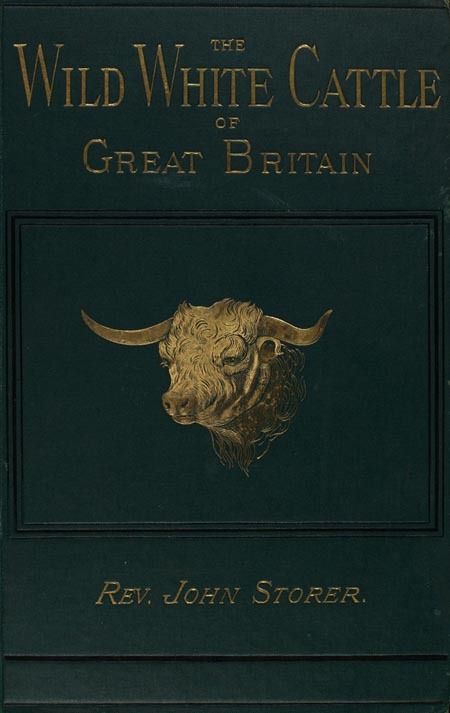 A campaign to raise funds for the conservation of the Wellington Papers was launched in October 2010. 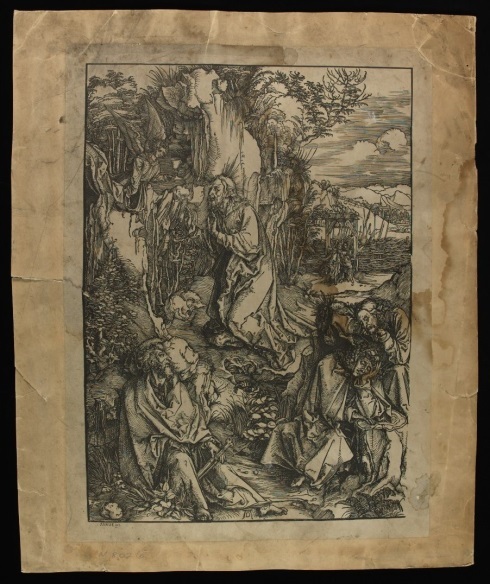 Grants from the National Manuscripts Conservation Trust, the J.Paul Getty Jr Charitable Trust and the Rothschild Foundation as well as modest funding from alumni supported the conservation of the badly degraded and mould-damaged papers from 1832, which is described in this article. A current project, jointly funded by the Foyle Foundation and the University and appropriate for the bicentenary of Waterloo, is focussed on the military papers for 1815. 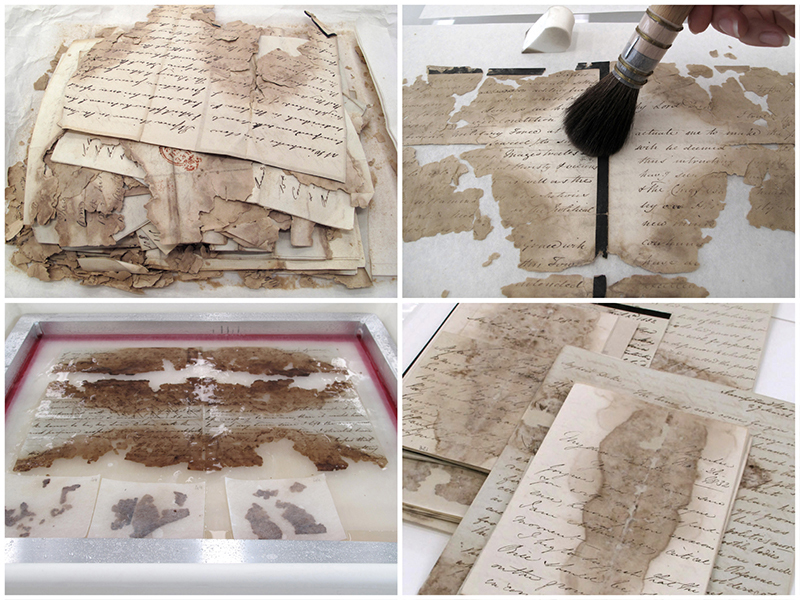 The conservators began by working with the less severely damaged materials for 1832 to enable them to develop expertise in conserving this type of exceedingly fragile material before tackling the most fragmentary bundles. Documents were fully documented before separation. Tests carried out before treatment included fibre analysis, chemical spot tests, pH tests to determine acidity, mechanical rub tests for surface cleaning, examination under optical microscopes and UV light and tests to determine ink solubility and the extent of iron gall ink corrosion. Papers were separated manually and collated. Separation, particularly of the most severely damaged bundles, is a painstaking and time-consuming task. 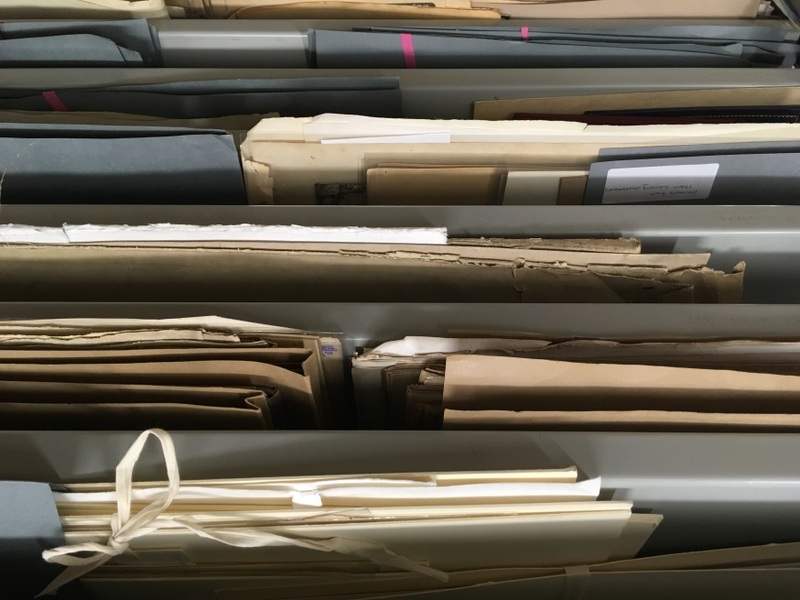 In some instances papers have fused together due to compression whilst damp and great care is necessary to prevent disintegration of the paper. Surface cleaning was undertaken where possible and where necessary individual items were given aqueous treatments, including washing supported on non-woven polyester on silk screens in cold and warm water to remove discolouration and soluble degradation products, calcium phytate treatment to stabilise iron gall ink corrosion and deacidification with calcium hydrogen carbonate. Fragments were washed alongside documents either loose or within non-woven polyester pockets. These were then realigned with the original which was lined to hold all fragments in place during the repair procedure. The documents were repaired by leafcasting similarly toned paper pulp consisting of a blend of cotton and hemp fibres. 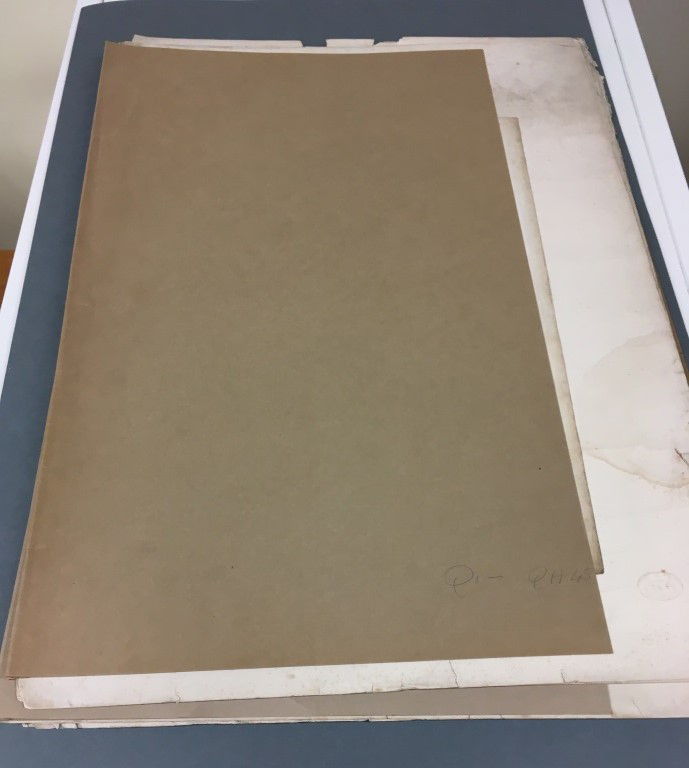 The conservators have created a reference tool of differently toned papers that match the papers within the collection. Griffin Mill Papermakers produced a special making of handmade paper to our specification. 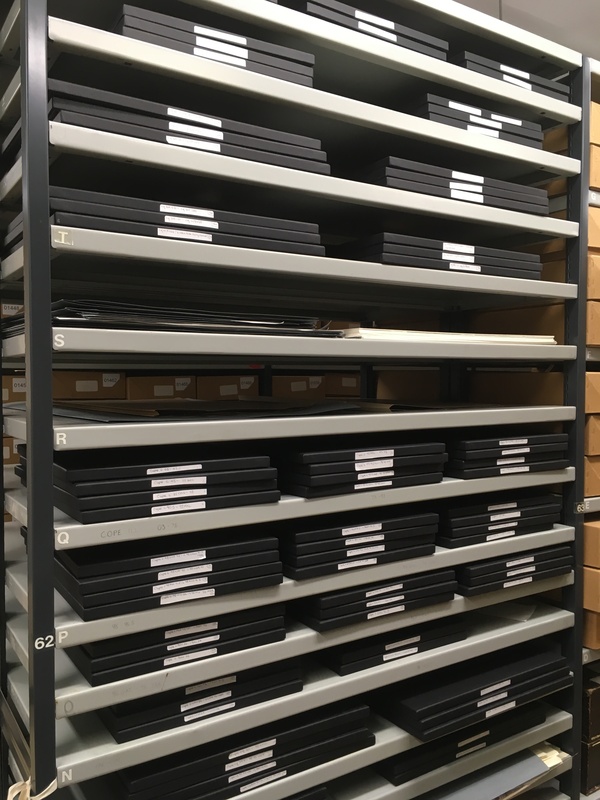 After humidification, pressing and resizing where necessary, documents were refolded and stored in custom made four flap folders and acid free boxes. Any fragments that could not be identified were noted, housed in melinex pockets and stored alongside the documents. Photographic documentation was made of all the processes. 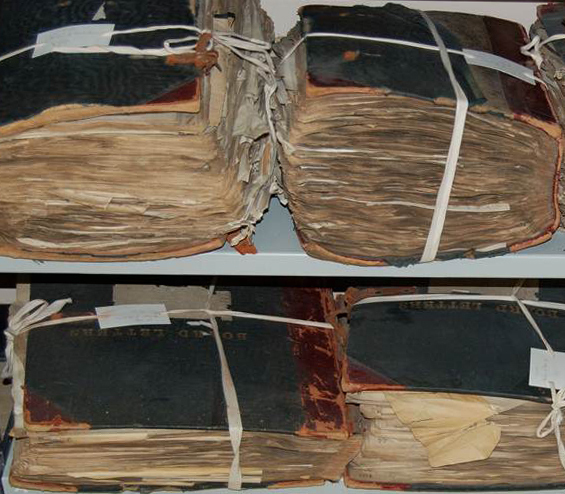 To date most of the bundles of documents have been conserved using leaf casting and paper pulp repair. The expertise gained by the conservators has enabled them to concentrate on the most fragile items with work underway on the separation and stabilisation of the final 6 bundles. These present some of the most severe conservation challenges as the separation of fragmented material can take several months to complete before any treatment is possible. 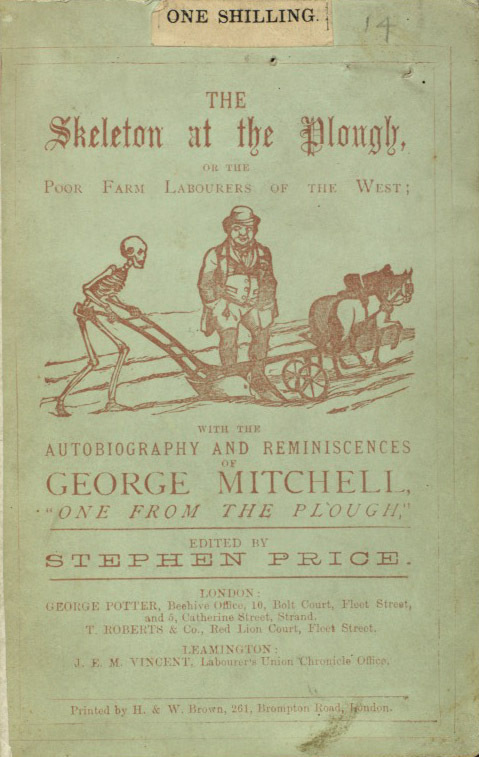 Many of the fragmented bundles for 1832 are now accessible for the first time since the 1940s. This is historically very significant material as it includes the first Duke of Wellington’s papers relating to the first Reform Act. As Wellington was the leader of the Tories in the House of Lords during the progress of the Act, by enabling archivists to access and catalogue the material, the whole picture of the debate now will be available. 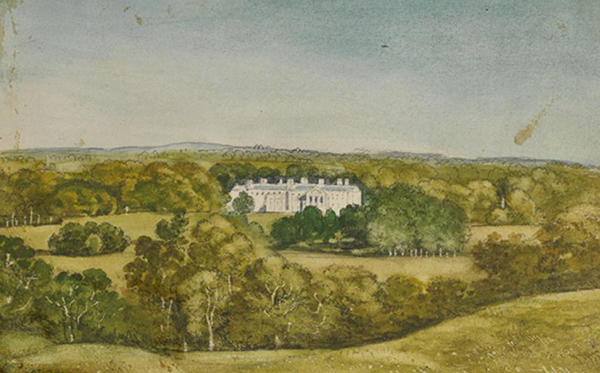 This week archivist John Rooney discusses a recent cataloguing project focusing on the Cowper-Temples and the Broadlands Conference on the Higher Life. William Cowper-Temple, and his second wife, Georgina, were prominent figures in nineteenth-century Britain. As a member of the Liberal Party, William was MP for Hertford from 1835 to 1868 and Hampshire South from 1868 to 1880. 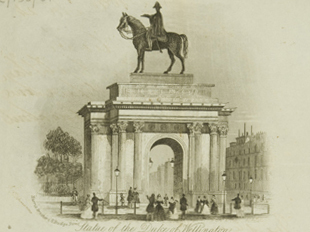 During the course of his career he was a private secretary to his uncle Lord Melbourne, a junior minister in Lord Palmerston’s government, groom in waiting to Queen Victoria, and held positions on the Board of Health and the Board of Works. William was stepson and heir to Lord Palmerston (who was rumoured to be his natural father) and inherited a number of estates, including the Broadlands estate in Romsey, in 1868. 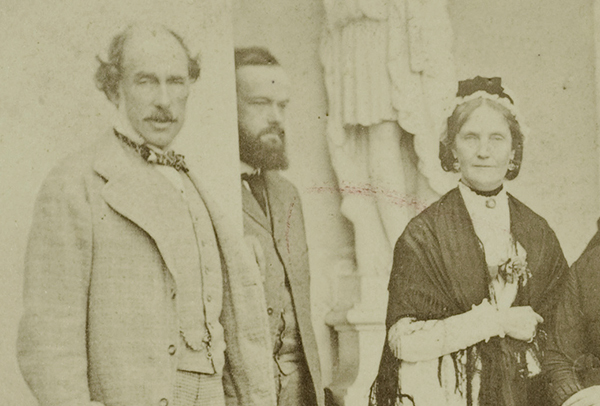 Photograph of William Cowper-Temple (on the left), and his second wife, Georgina, nee Tollemache (on the right). 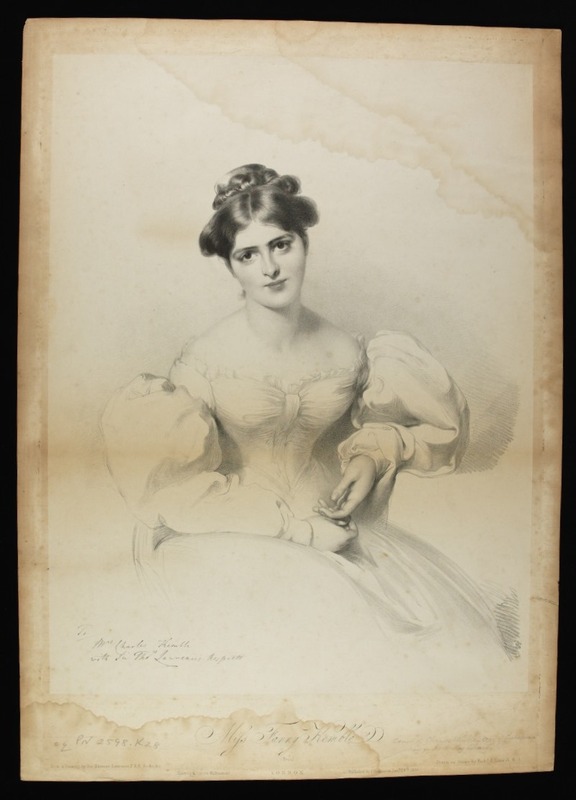 After the early death of his first wife, Harriet Alicia (nee Gurney), in 1843, William married Georgina Tollemache, sister of the first Baron Tollemache, in 1848. William and Georgina shared a strong and enduring interest in religious matters. Though never orthodox, William had been closely associated with Evangelicalism since the late 1830s. After their marriage, Georgina notes that they embarked on a search for religious truth. This led to their acquaintance with Evangelical figures such as Henry Drummond and Christian Socialists such as F.D.Maurice, Thomas Hughes and Charles Kingsley. It also led to their association with a number of unorthodox figures, including the American “theo-socialist” Thomas Lake Harris. Georgina had a particular interest in mysticism and an eagerness to engage with spiritualism and other esoteric religions as a means of truth seeking. The death of her mother had a strong influence on her belief in a connection between earthly life and the spiritual. Despite not all their acquaintances sharing an appreciation for the practice, the Cowper-Temples mixed with leading spiritualist figures from Britain, American and Europe, and attended a number of séances (spiritualist meetings to communicate with the dead). However, the most notable manifestation of their religious activities was to be the annual ecumenical conference held at Broadlands between 1874 and 1888. Precipitated by the Holiness movement in America, the 1870s saw the emergence of the Higher Life movement in England. Named after William Boardman’s book The Higher Christian Life (published in 1858) the main aim of the movement was to help in advancing the Christian’s progressive sanctification, and enable one to live a more holy, less sinful, life. Though principally Evangelical, the movement was seen as non-denominational. Together with William Boardman, two other key figures helping to spread the holiness message in England were Robert Pearsall Smith and his wife, Hannah, both of whom were acquainted with the Mount-Temples and were involved in the conferences at Broadlands. The first conference took place over six days in July 1874 and was designed to deepen the work of sanctification through prayer, the reading of scripture, short addresses, and the discussion of personal experience of grace. The beautiful surroundings at Broadlands aimed to create a “foretaste of heaven” with many of the services taking place under the beeches or in the orangery. Among the hundred guests attending were George MacDonald, Andrew Jukes, Edward Clifford, Catherine Marsh, Lady Gainsborough, George Wilkinson, Stevenson Blackwood, Theodore Monod and Professor St Hilaire. Among the Broadlands archives held by the University of Southampton, there is a significant collection of material relating to the Cowper-Temple’s religious interests and activities (see BR43-5; 47-58). I have recently catalogued just a small section of this material (BR49-51) which contains a range of correspondence from people either attending the Broadlands conference or discussing religious and spiritual matters, including letters from R.W.Corbett, Thomas Lake Harris, Laurence and Alice Oliphant, Lord Palmerston, Hannah and Robert Pearsall Smith, and Lord Shaftesbury, among others. It also contains printed and typescript copies of testimonials, programmes for the conference (including subjects for consideration), and notes on matters such as the Christian’s relationship to the world. Finally there is a selection of William Cowper Temple’s notebooks and diaries providing accounts of séances together with his personal thoughts on religious, spiritual and health matters. As a whole, the material offers fascinating insights into the curious social and cultural world of these two intriguing Victorian figures. Rosh Hashanah, the Jewish New Year, takes place from sunset on the 24th to nightfall on the 26th September 2014. To mark the occasion John Rooney, an archivist in the Special Collections Division, provides a rundown of his work on the recently completed Jewish Board of Guardians cataloguing project. “Over the past year I have been responsible for cataloguing and indexing the letter books of the secretary of the Board of Guardians for the Relief of the Jewish Poor. The Board was established in 1859 by representatives of the three main London synagogues – the Great Synagogue, the Hambro’ Synagogue, and the New Synagogue. They were charged to constitute a Board of Guardians for the relief of poor Jewish immigrants, referred to as the ‘strange poor’, living in London. However, immediately after its formation the Board began to extend both its scope and revenues, and soon became the chief source of support for poor Jews in the city. 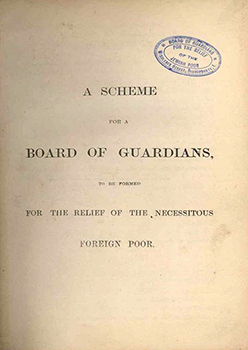 The Board helped to keep Jews away from the English poor law, with the burden of maintaining their poor falling almost entirely on the Jewish community. The Boards capacity to both raise and disburse funds grew rapidly, particularly in response to the large influx of Russian and Eastern European Jews escaping persecution from the 1880s. The letter books of the secretary consist of eight volumes containing correspondence, reports, press cuttings, financial statements, and other papers relating to the activities of the Board from the 1880s to the 1940s. These materials reflect the transformative nature of the Board, which continually adapted its activities to meet changing conditions and needs. The Board achieved this through a range of committees and sub-committees as well as coordinated efforts with other charitable organisations and institutions. While the primary activity of the Board was the administration of monetary relief there were other ways in which the Board provided support. Loans, for example, acted as a preventative measure to help struggling tradesmen or families from falling into pauperism. Meanwhile, the provision of financial aid for emigration assisted cases in travelling to places such as the United States or Australia, or in returning to Europe. Other activities of the Board included the administration of almshouses and convalescent homes, the training of apprentices, the running of workrooms, the provision of medical relief, as well as conducting sanitary inspections of the homes of the poor. The Board was a philanthropic endeavour and was both established and run by prominent members of the Jewish community. In addition to materials reflecting the activities of the Board’s various committees and associated institutions, there is a significant portion of materials relating to the individuals responsible for the running of the Board. This includes correspondence dealing with the appointment and resignation of both members of the Board and its committees, as well as representatives of the Board at other public bodies. Funding of the Board was also dependent on the generosity of members of the Jewish community with a significant portion of materials relating to the provision of donations and contributions, particularly in the form of legacy bequests. The collection includes a number of case materials. The majority of these date from the 1880s to the early 1900s and primarily relate to cases of deserted children. 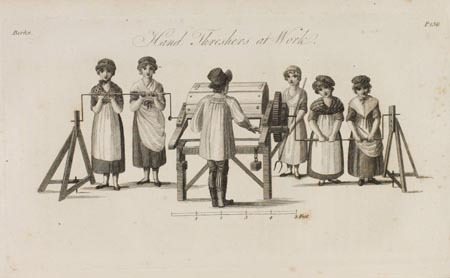 These include cases of children being removed from workhouses and placed in the care of Jewish families or Jewish institutions, in particular the Jews’ Hospital and Orphan Asylum in Norwood. 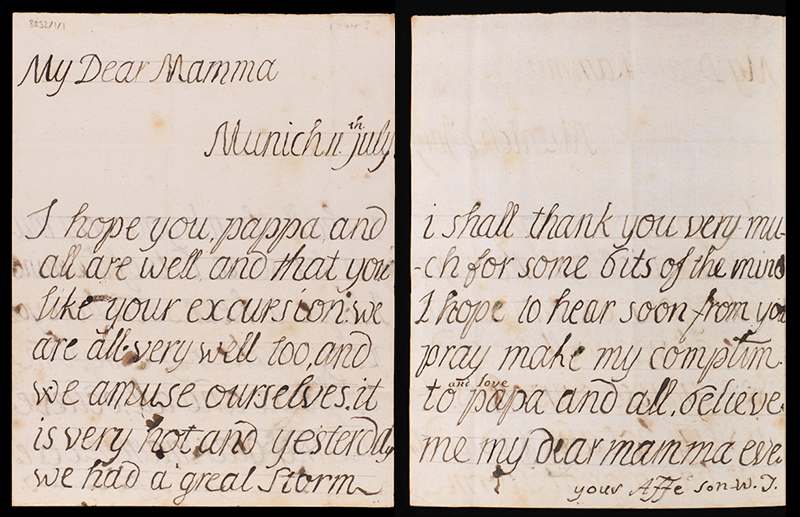 The Board also assisted the emigration of children in cases where they could be reunited with their parents. There are a significant number of materials relating to the Board’s provision of financial assistance for emigration. This resulted in tensions with authorities in the United States and is reflected in correspondence with the United Hebrew Charities in New York in the early 1900s. Likewise, tensions regarding the arrival of Jewish refugees into Britain are particularly evident in materials relating to the Board’s efforts to facilitate refugees from Transvaal arriving in Southampton, en route for Europe, during the Second Boer War. The project involved providing item level descriptions for approximately 10,000 items. Index terms have also been provided in accordance with the NCA Rules, with UKAT and AIM25 used for the provision of standardised subject terms. Both cataloguing and indexing at an item level was essential due to the physical nature of the collection. Each of the eight volumes contains between one hundred and three hundred pages, with a large number of items attached to each page in a series of folded bundles. While the items are arranged in a general chronological order, the volumes do not contain any form of index, which has resulted in the content of the collection remaining largely obscured.